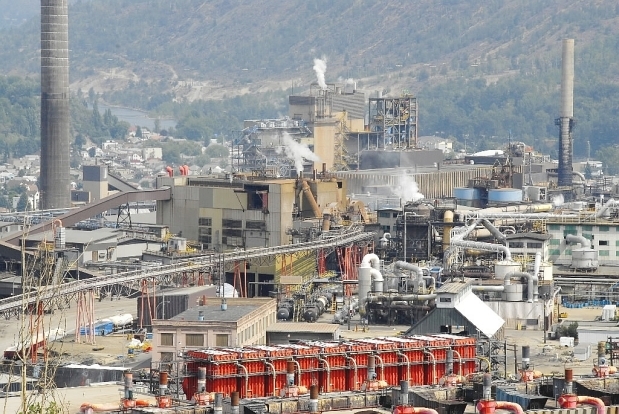 Teck Resources Admits Polluting Columbia River in U.S. However, Teck says the statement of facts doesn't concede the pollution caused any harm. "We haven't agreed to the amount of injury that's potentially the result of that (pollution release) -- certainly not the risk to human health and the environment," said Dave Godlewski, vice-president of environment and public affairs for U.S. subsidiary Teck American. That's being determined by ongoing studies that could be complete by 2015. Teck reached an agreement with the U.S. Environmental Protection Agency (EPA) in 2006 to fund $20 million in environmental impact studies. The tribes later launched the civil lawsuit, claiming 145,000 tonnes has been dumped directly into the river. The State of Washington joined in 2004. "They are saying they agree now after many years of denying that," said Jani Gilbert, a spokeswoman for the Washington State Department of Ecology. However, Gilbert noted Teck will try to argue in a hearing scheduled for Oct. 10 in U.S. District Court in eastern Washington that the U.S. does not have jurisdiction over Teck's Trail operation because it's in Canada. In an earlier decision, the 9th Circuit Court of Appeals upheld a decision by a lower court the case could go forward even though Teck's operation was in Canada. Austen Parrish, a professor at Southwestern Law School in Los Angeles who has followed the case, said the vast majority of the main issues in the case still remain. "Teck has a number of defences to liability, including its jurisdictional issues," Parrish noted. Costs of a cleanup on the Columbia River have been estimated as high as $1 billion, but Teck said based on its own studies it estimates the "compensable value of any damage will not be material." The pollution discharge -- which included zinc, copper, lead and traces of elements such as arsenic -- ended in 1995 after Teck upgraded the Trail operation. "The river's water is as clean as can be. We meet every single water quality standard in existence," he said. Teck Resources' admission that it polluted the Columbia River had little effect on the company's share price. Its shares on the Toronto and New York stock exchanges dropped about one per cent on Monday, giving the company a market capitalization of about $17 billion.